University House Issaquah joins with local health care professionals and service providers for free, educational event focused on older adults. Includes interactive workshops and expert health screenings. 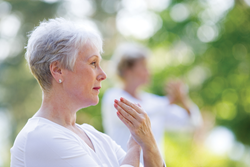 Active Aging Programs include fitness classes designed for mature adults, guided meditation, and nutrition to meet a variety of health requirements and dietary preferences. Our health fair is designed to give older adults practical tools to stay healthy and be well. On Thursday, July 21 from 10:30am – 1:30pm, the public is invited to learn more about health care options and wellness strategies for older adults. University House Issaquah is partnering with major players in health care and wellness categories including Virginia Mason, Costco Audiology, Optical and Pharmacy, the YMCA, Cascade Integrative Medicine, and many more to create an educational event designed to promote healthy aging. Free health screenings and assessments for balance, blood pressure, chronic pain and issues related to inflammation. One-on-one conversations with naturopathic doctors, nurses, pharmacy professionals, nutritionists, and acupuncturists. Advice from leaders in guided meditation, licensed massage practitioners, and fitness professionals. 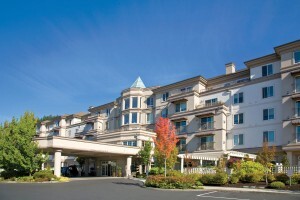 University House Issaquah is part of Era Living, a local, family-owned organization of eight premier retirement communities. University House Issaquah offers residents a warm and vibrant lifestyle, an array of amenities, lifelong learning and healthy aging programs, beautiful Cascade vistas and exceptional Independent Living and Assisted Living care. University House Issaquah is conveniently located where Issaquah meets Sammamish. The community features one of the most advanced healthy aging programs in the country.Residents at University House Issaquah have access to lifelong learning programs through the University of Washington Retirement Association and other intellectual partnerships.